On the final day of the guest bedroom challenge, time was the enemy of all three design duos. Team House and Leisure were still working on the paint effect on their feature wall, Team VISI still had paint touch ups on the go and Team Habitat hadn't even gotten to the basics of flooring and paint. The biggest surprise, however, was Team Habitat revealing they planned to install their Belgotex artificial turf not on the floors, but on the walls! As the clock tick-tocked to the deadline, stress levels shot through the ceiling and it was a mad dash to finish. 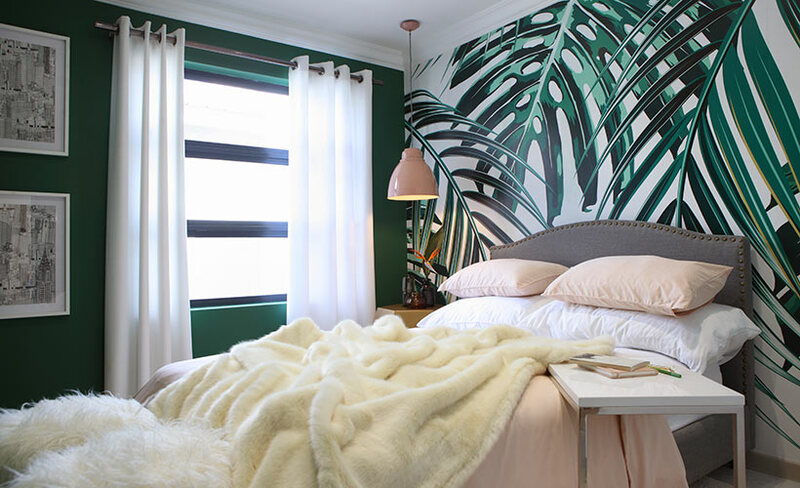 Team VISI revealed their guest bedroom, which took inspiration from the song lyrics, "Concrete jungle where dreams are made of." The vibrant leaf print wallpaper was complimented by a pink pendant lamp and soft, fluffy accessories for a restful feel. 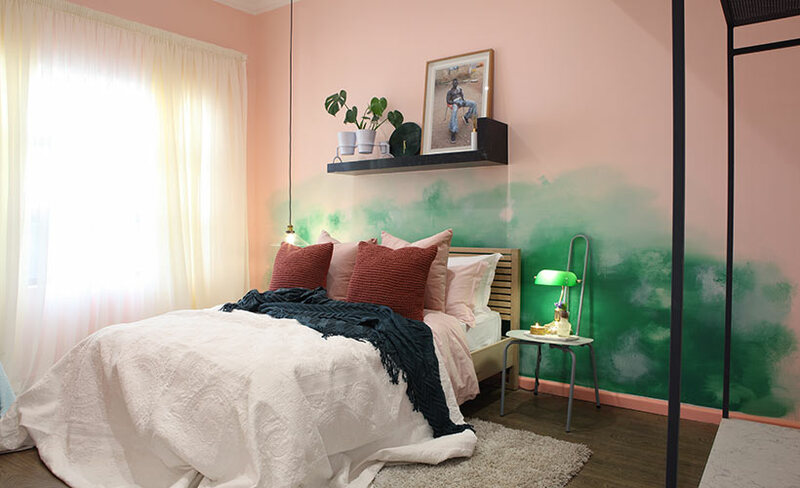 Team House and Leisure's guest bedroom featured blush walls and an emerald green ink-faded technique using Plascon paints. The duo chose mismatched side-tables, along with a L-shaped Caesartsone shelf above the bed to add character. 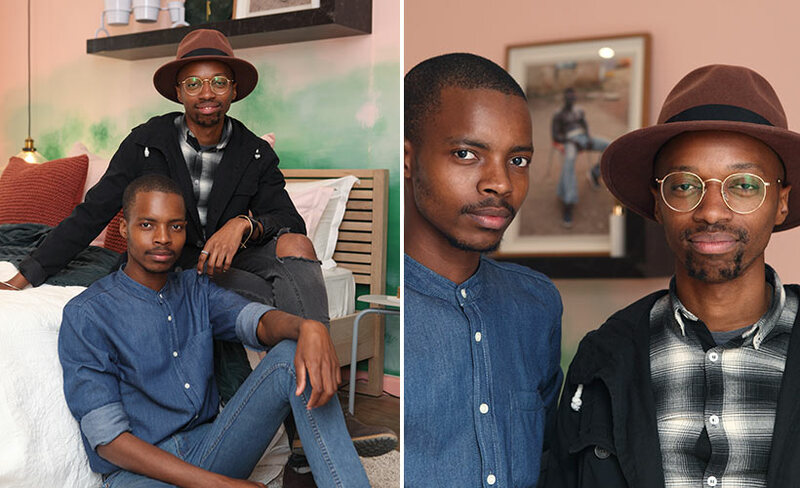 They created a steel open wardrobe and also included custom and local art pieces. 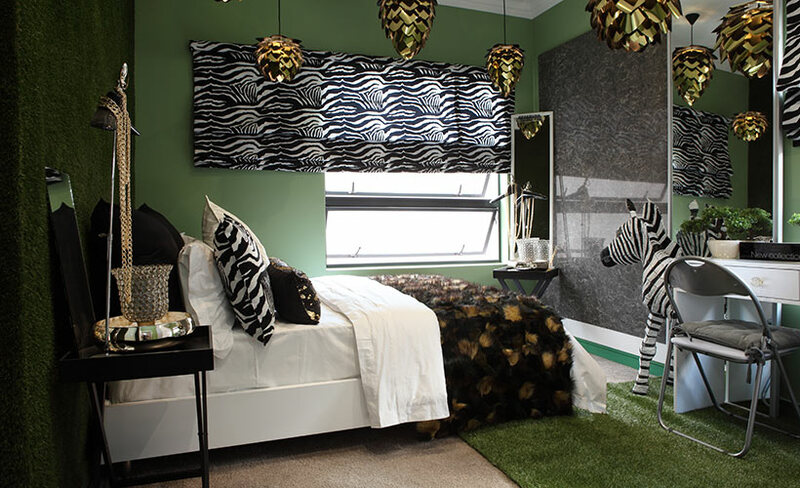 Team Habitat's room featured a wild African theme, reflected in a custom beaded zebra dressing table as well as zebra print window dressings. They created a doorway into the adjacent bathroom and completed their bold look with black accessories and gold chandeliers. The judges were joined on the panel by local interior design legend, Stephen Falcke. In their feedback, the judges used three words to describe Team Habitat's room: Memorable. Brave. Wow. However, they felt this duo needs to learn to edit. 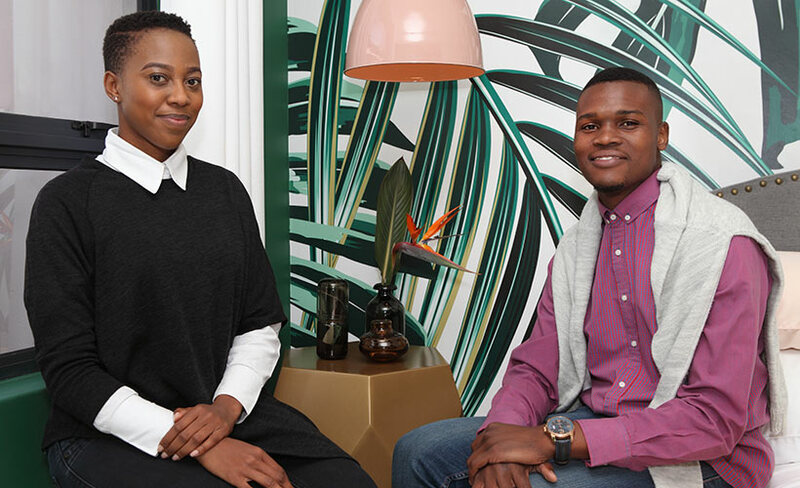 For Team House and Leisure's room, the judges felt the room was whimsical and perfectly curated but disliked their curtain choice. 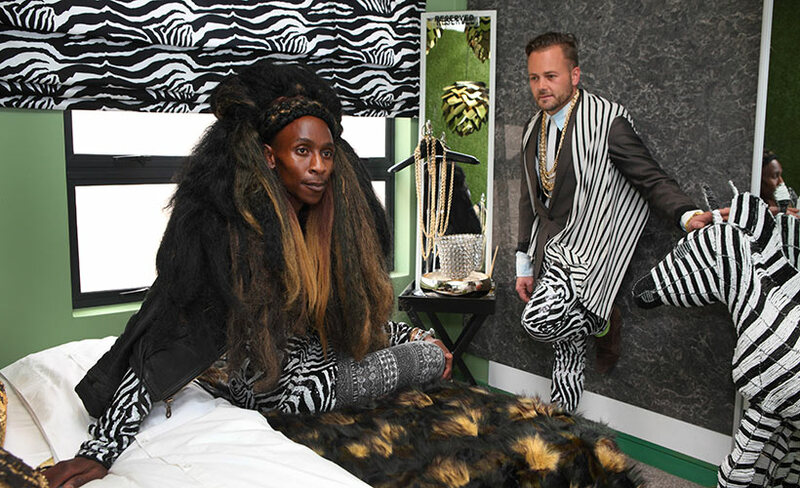 The judges said Team VISI's guest bedroom had lovely wallpaper and paint choices but it was let down by an imbalance in styling the room. 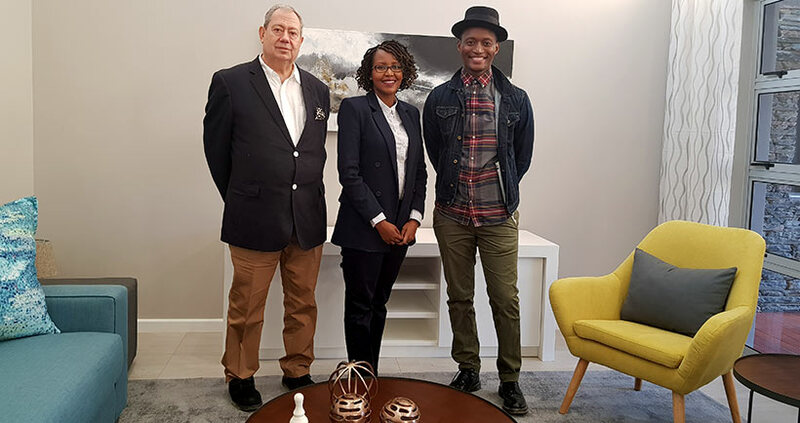 The judges decided Team House and Leisure were the winners of the guest bedroom challenge and they were rewarded with an extra R5000 in the budget of their next space.